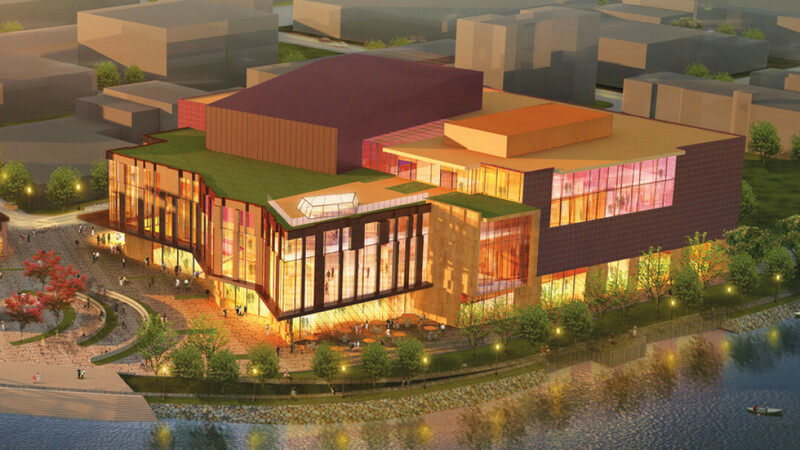 A Chippewa Falls-based charity has pledged $100,000 toward the proposed Confluence Project’s performing arts center. The BA Mason Trust, the philanthropic arm of Mason Companies, announced the gift Monday, April 13. “This investment demonstrates the family business’ commitment to the people and the vitality of the Chippewa Valley. We hope it will encourage others to help out in any way they can,” said Tim Scobie, a member of the fifth generation of the Mason family involved in the family business, which was founded in 1904 in Chippewa Falls. The BA Mason Trust donation came in response to a fundraising initiative dubbed “Businesses for Growth.” To date, more than $7.3 million has been pledged toward the performing arts center by businesses, individuals, and families. The philanthropic goal is to raise $13.5 million of the center’s estimated $40 million cost. The city and county of Eau Claire also have committed funds, and $15 million for the arts center was included in Gov. Scott Walker’s version of the state budget, which awaits legislative approval. The $40 million arts center is slated to open in the fall of 2018.